The lump sum that you can make from selling a website or blog is the most convincing reason for many people who decide to sell. How much can you get for your website? Well, it depends on how much a buyer is willing to pay. Generally, you can make anywhere from 10 – 24 times the average monthly profit of the site, and sometimes more. Sites with smaller profits (around $1,000 or less per month) tend to sell at the lower end of that range, and sites with higher profits often will move higher in that range. But knowing what price you’ll be able to get is pretty difficult as each buyer will have their own view on what they are willing to pay. Being able to get a year or two of profit all at once is a pretty tempting option for many people. Maybe you would like to use the money to invest in another website or business that you’re planning. Or maybe you’re in a situation where you need the money for something else. Perhaps you don’t really need the money, but you’d like to cash out on your efforts while the website is doing well rather than taking the risk of its profit and value dropping over time. As the value of your website increases, this can become something that weighs on you a lot more. In some cases the main motivation for selling may be to free up more of your time to use for some other project. For me personally, this has been my primary reason for selling in the past. If your website or blog is taking up a lot of your time and you’re itching to do something new, selling may be an option that you want to explore. 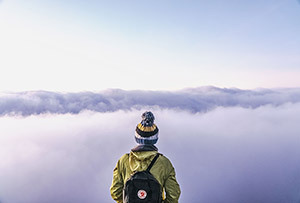 By selling the site you’ll not only receive the lump sum from the sale, but you’ll also eliminate the need to dedicate your own time on the site going forward. You can now find the time to start that new project that you’ve been thinking about. Let’s face it, sometimes you might just lose interest in a site. Things can get stale when you’re working on the same things all the time, and losing interest is very common. What most people do when they lose interest is they slowly spend less and less time on the site, and then before they know it their traffic and revenue are down, and so is the site’s value. Don’t let that happen to you. Rather than letting the site go without getting anything for it, sell it before it gets to this point. Although you will get a lump sum when selling a site, you’ll also lose the ability to make money with the site well into the future. You may get 1 or 2 years worth of profit, but if you keep the site you might continue to make money with it for the next 10 years or more. In the end, you’ll make a lot more money by keeping it. If you sell you will, of course, have more time to work on a new website, and you may be planning to replace the lost income with the money that you’ll make from the new site. But repeating your success isn’t always easy, or even possible. Having one successful website is a great accomplishment, and for some people it never works out to duplicate that success. With this in mind, don’t just assume that you’ll be able to easily replace that income from the site that you’re selling. 2. You’ve Already Done the Hard Part! If you’ve built a profitable website that buyers want, you’ve already completed the hard part of the work. Getting the site off the ground and making it profitable is not easy. Once the foundation of the site has been established, maintaining the site and gradually increasing traffic and profit is the easier part, in most cases. So if you’re selling the site, you’ve done all the hard work and the buyer will be able to have the easier job of continuing to make money with the site. You may be interested in selling, but not at a price that you are being offered. Most of us place a high value on the websites and blogs that we’ve built on our own, and buyers of course are looking for a good investment that will allow them to make a nice profit into the future. The result is that you’re likely to feel that a buyer’s offer to purchase your site is too low. When compared to the prices of traditional businesses, buying an online business is a steal. At some point maybe the values of internet businesses will close that gap, but for now it seems that buyers view investments in online business as more risky than traditional businesses, in general. 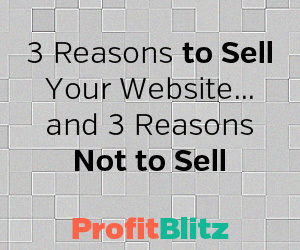 Would you like to sell your own website or hold on to it?